Driffield Town Council has received a National Lottery grant of £9,800 to establish a community-led heritage body that will, at the end of the project, have the tools and know-how to take forward the re-development of the Grade II-listed Mortimer’s Warehouse, located at River Head in Driffield, East Yorkshire. 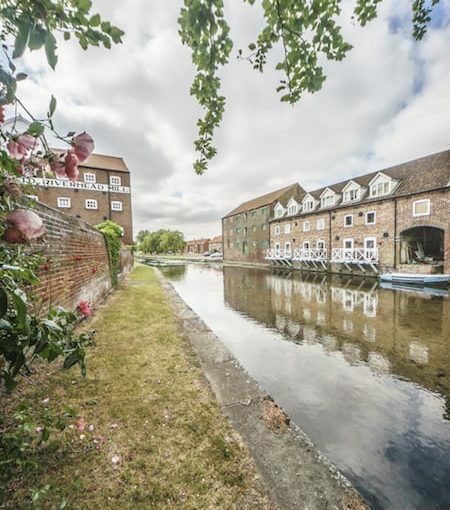 Made possible by money raised by National Lottery players, this Heritage Lottery Fund (HLF) project is a crucial first step in the proposed transformation of this fine example of late-18th-century canal architecture. In 2016, Mortimer’s Warehouse was acquired by local benefactors who wish to work in partnership to transform the building into a heritage visitor centre where the story of Driffield Canal and its relevance to the region’s maritime past and Britain’s great age of canal building can be told. Driffield Town Council is committed to working with the owners and other local partners to make this vision a reality. The aim of this project is to put in place a robust management board that will take the lead on maximising the warehouse’s potential. It will involve partners in developing skills and knowledge about the charitable sector; learning about best practice in heritage asset development and management; and creating a shared vision that is underpinned by a strong business plan and fundraising strategy. There are a number of heritage features at River Head in Driffield including wharves, cranes and warehouses – all of which evoke the canal’s past as a working freight waterway. Most of the warehouses have been converted for residential or commercial use. However, with Mortimer’s Warehouse currently in private hands, partners have a unique opportunity to ‘save’ it for the benefit of the community. A former grain store, Mortimer’s Warehouse covers an area of 341m², spread over three floors. The existing grain silo is a triple height void occupying one third of the building. A preliminary assessment of the building carried out in 2017 found it to be in sound condition. This assessment also suggested how the warehouse could be modified to showcase its heritage value, while accommodating a sustainable mix of uses, including interpretation and exhibition space, visitor services including food and drink, and retail areas. With the introduction of these facilities and services, Mortimer’s Warehouse could become a high-quality, self-sustaining heritage destination that would add value to the region’s heritage tourism offer. In order to pursue this ambition, a strong and focused management board is required and we are grateful to the Heritage Lottery Fund for recognising and supporting this.